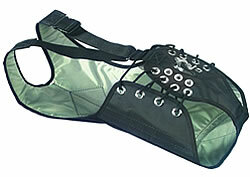 Banks trapeze harnesses are made from hardwearing polyester sailcloth with closed cell foam padding. A choice of styles is available, all in a range of sizes. A Streamline design with no hook to get tangled or cause damage to hull of your boat. The Lumbar Harness is a lace up spreader bar harness. Side stiffening around the lacing area spreads hip load. 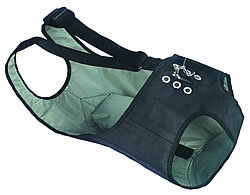 This harness also features non-snag velcro leg strap adjusters. 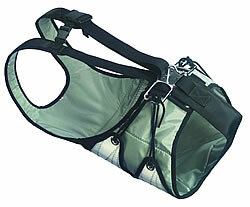 Our Nappy Harness is the original fully adjustable harness. Probably the most comfortable harness on the market. The load from the hook is spread by radial patches completely eliminating creasing around the back. Most women find this the best harness for them. The Skiff Pro Harness has been developed alongside top crews to offer the ultimate racing performance. There is no waist adjustment and therefore it is clean of rope and webbing straps. 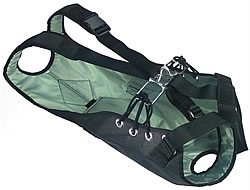 This harness is ideal for the modern high performance dinghy crew and is exceptionally light and comfortable.